Skin care is something I now pay a lot of attention to and that starts with a perfect removal of my makeup and skin cleansing. Garnier is known for it’s amazing Micellar Water but for someone that wears waterproof mascara or waterproof foundation like the Urban Decay All Nighter Foundation (read my review here) sometimes that isn’t enough. Rubbing my eyes ruffly to remove my eye makeup was something I used to do without thinking about it too much and it really didn’t bother me. But then you start thinking about wrinkles or, in my case, I got LVL lash lift done and I started to be more careful whilst removing my makeup. 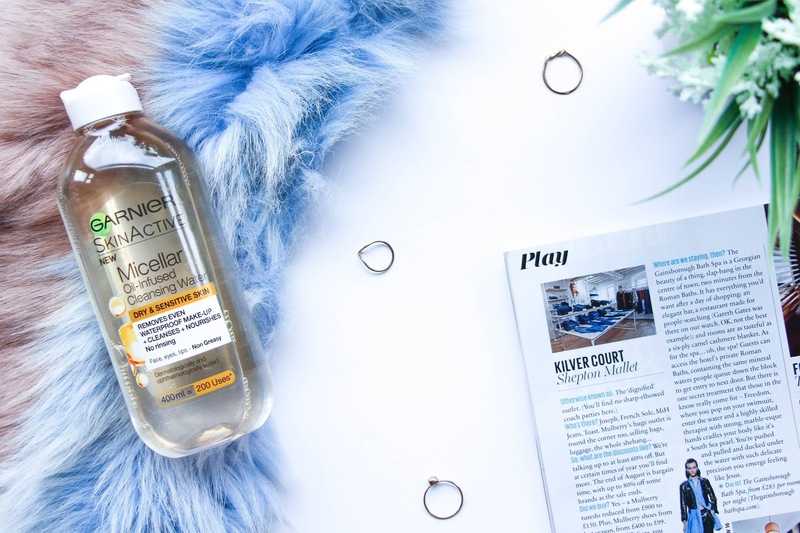 For all these reasons I decided to give the Garnier SkinActive Oil-Infused Micellar Cleansing Water a go. Raved by many other bloggers, I was exited to see how well this would work. I have normal to dry skin and an oil-infused cleansing water seemed something ideal to use as an extra moisture to my skin. This won’t leave your skin feeling oily or whatsoever as the product sinks into your skin making it feel nourished and clean. The oil makes the makeup removal process very easy and gentle – no need to be ruff or to exaggerate in the amount of product. A little does a brilliant job and let me tell you a little secret – I love to put a little amount of the Garnier SkinActive Oil-Infused Micellar Cleansing Water in my normal makeup wipe for an easy and quick makeup removal. After that, I use some cotton pads to remove my eye makeup as well as to remove any left residue of foundation left on my face. On a lazy day where I can’t be bother to wash my face as an extra step to remove my makeup, some extra cotton pads and the Garnier SkinActive Oil-Infused Micellar Cleansing Water are more than enough. My skin looks perfectly clean, soft and ready for m Dolce & Gabanna Clarifying Lotion. This is great to not only remove any dead skin and impurities but also to ensure that all your makeup is gone. A clean cotton pad is what we are aiming at the end of this. 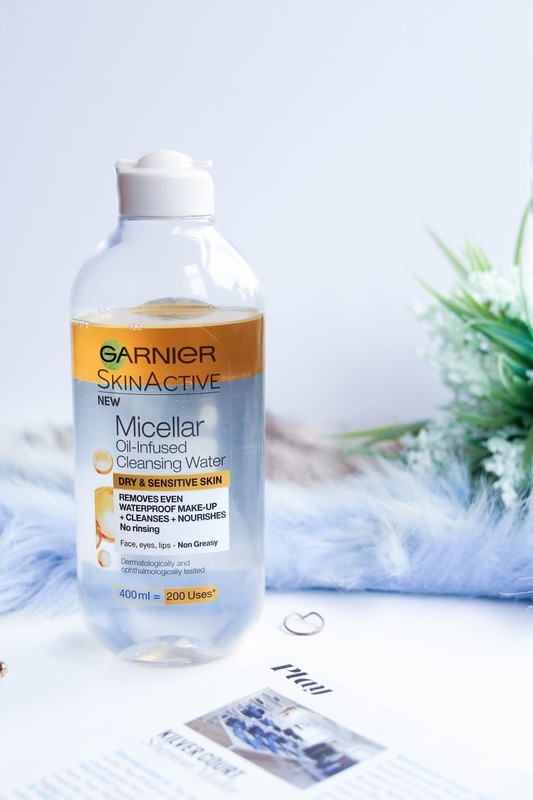 I honestly feel that the Garnier SkinActive Oil-Infused Micellar Cleansing Water is the best makeup remover in the drugstore and for £5,99 (or £3,99 if it’s on sale like it is now), you can’t really go wrong with it. Even if you aren’t a waterproof makeup fan, this is the best to remove any makeup and leave our skin looking really fresh, clean and nourished without any effort. 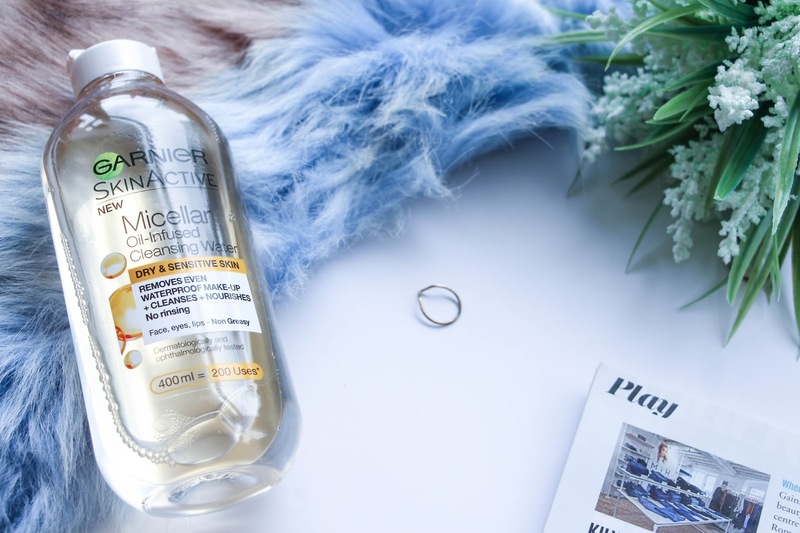 Have you ever tried the Garnier SkinActive Oil-Infused Micellar Cleansing Water? Previous Post LVL Lash Lift // Yes or No?